J&M Refrigeration – Not just experts in refrigeration but commercial air conditioning too! No matter what industry you work in, you need to be sure that your air conditioning is efficient. At J&M Refrigeration we make sure that all air conditioning systems are installed properly, allowing you to create a safe place for employees and customers alike. Air conditioning is exactly what your business needs if you want to encourage customers to return to your shop time and time again. We supply commercial air conditioning services to help you to create a comfortable environment for your customers. Enhancing the performance of your commercial air conditioning needn’t be difficult. By regularly changing your filters, you can improve the functionality of your cooling systems, ensuring that any impurities are removed. Leaving your filters to get clogged up is not going to end well for your business; you will only put pressure on the system, making it work much harder than it needs to! The coils of your commercial air conditioning can easily become clogged up with dirt. Believe it or not, the coils can affect the performance of your air conditioning, hence why we encourage you to maintain these effectively. You don’t want your air conditioning system to overheat, so why not wipe the system clean from time to time? The type of system you have installed to your business can determine how many times the coils need to be checked for dirt and debris, to find out more about this, call us on 0121 544 0555 today! This goes for the interior and the exterior of your system. You’ll need to be vigilant; identify any cracks or other signs of damage before they escalate into something more serious. Cleaning your system regularly will enable you to maintain your commercial air conditioning for longer, eliminating any costly repairs or replacements! Within your business, you want the air that circulates the room to be clean, hence why we recommend you maintain your system regularly. Keep the costs low- if you identify any leaks in the connection of your air conditioning when cleaning your system make sure you inform us of them. The sooner you alert us to these, the sooner we can repair them and restore normal functionality for your business. Not identifying a leak will make it difficult for you to maintain the cooling ability of your air conditioning, making the environment less pleasant for your customers. Who would have thought that regular maintenance of your commercial air conditioning could save you energy? Not maintaining your system will only mean that you consume more energy than you need, leading to an increase in your energy bills. You want your commercial air conditioning to be efficient, right? So, why not make sure that your system is well-maintained and regularly tuned? And at the end of all this, in an emergency, you can call our 24/7 Commercial Refrigeration Repair team! 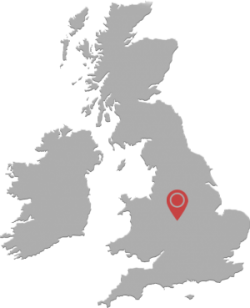 If you need to know more about the commercial refrigeration services we provide, here at J&M Refrigeration, don’t hesitate to get in touch with our team of experts today!